This Easter we’ve got something very special planned for your little ones. 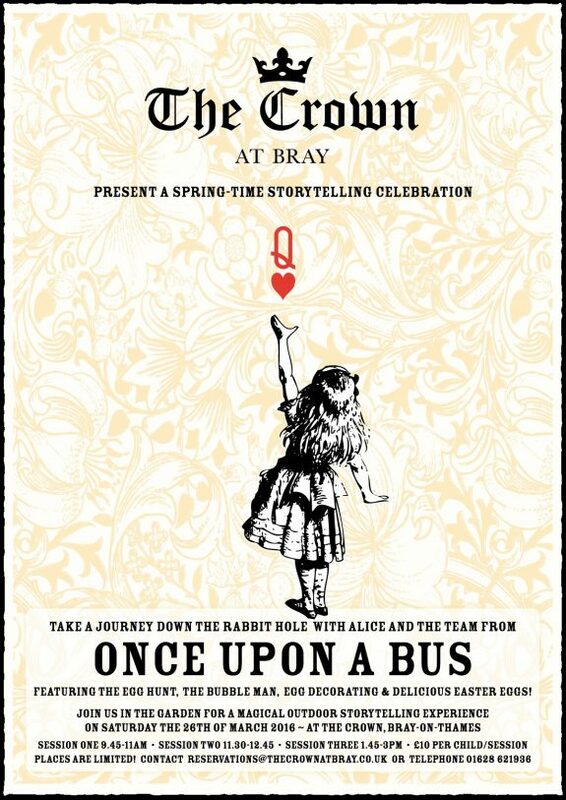 The team at Once Upon A Bus will be here on Saturday 26th March to create a journey down the rabbit hole with Alice where they’ll be taken on a magical storytelling experience. Sorry grown-ups, it’s just for kids..
Join us in our big garden for an egg hunt, seasonal activities, The Bubble Man and of course, delicious Easter eggs! We have customer parking behind the pub, right beside our large beer garden. After offering our bouquet pre-ordering option for Valentine’s Day we realised that this is a service that our customers really appreciated – so we’re going to offer it again for Mother’s Day. 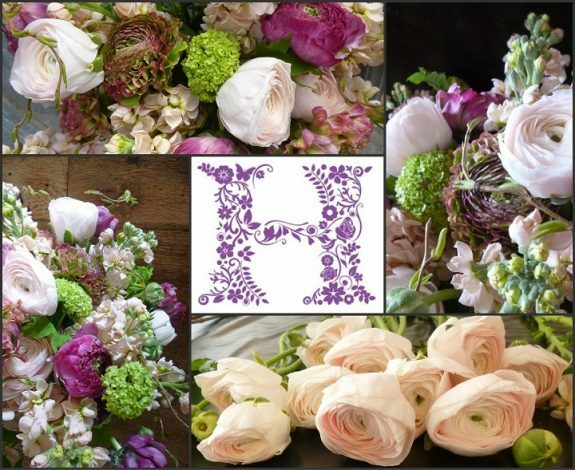 Miranda Hackett Flowers is the local florist that we use and their stunning hand-tied bouquets are just £40. The Mother’s Day bouquets will be waiting for you on your table on arrival and are aqua-packed, wrapped & decorated with ribbon and a card if you desire. Just let our Reservations Team know that you’d like to add the Mother’s Day bouquet option at the time of making your booking. If you’ve already booked a table and would like to add the bouquet now, that’s no problem but please confirm that with us as soon as possible. As you can imagine, Mother’s Day tables here tend to book up quite quickly so give Luke or Nikki a call on 01628 62 19 36 to avoid any disappointment. 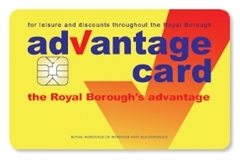 Most local residents will be familiar with the Royal Borough’s Advantage Card and many know a good few places where they can use it to get great discounts…but are you aware that The Crown at Bray gives 10% off your food bill when you present it here? Dig it out of the bottom of your wallet when you’re here with us in the pub and reduce your bill! Don’t have an Advantage Card yet? Click HERE to see if you are eligible to apply for one.